?A clear plastic container filled with translucent gel. 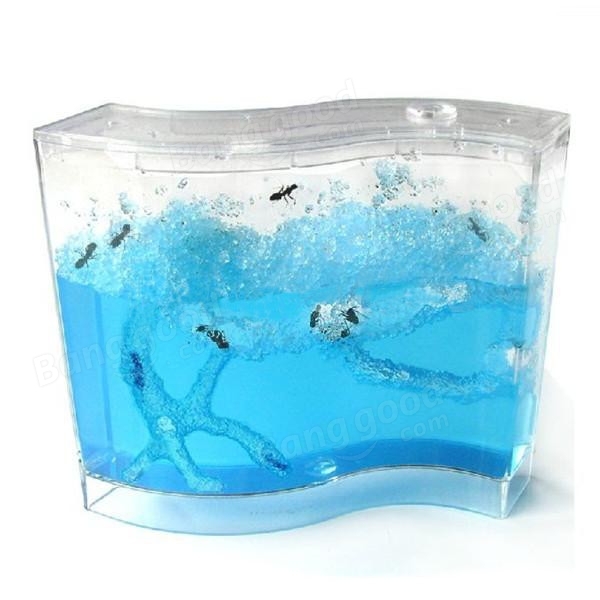 ?Specially designed for easy observation of ants behaviors. ?You can watch ants live, work and tunnel in the nutritious. ?No food or water required to farm these ants. ?Ideal to have one in your bedroom, kitchen or living room. 1.Suitable for people above 8 ages.